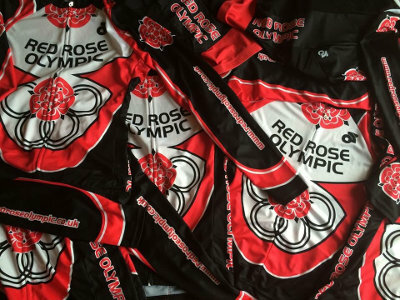 Champion Systems are the official supplier for race kit and off the bike clothing for Red Rose Olympic. There is a huge range of clothing available from the usual race and training kit right through to polo shirts, hoodies, hats, gloves and overshoes – if you need it you can get it from Red Rose Olympic through Champion Systems. Every few months we will open our virtual shop to members and you can purchase what you need direct on line. Check back for instructions on how to order when the next ordering window is open.